Also in attendance at the meeting are the Chamber Ambassadors and members of the Board of Directors. The Ambassadors are there to help you. They can answer any question or provide guidance. 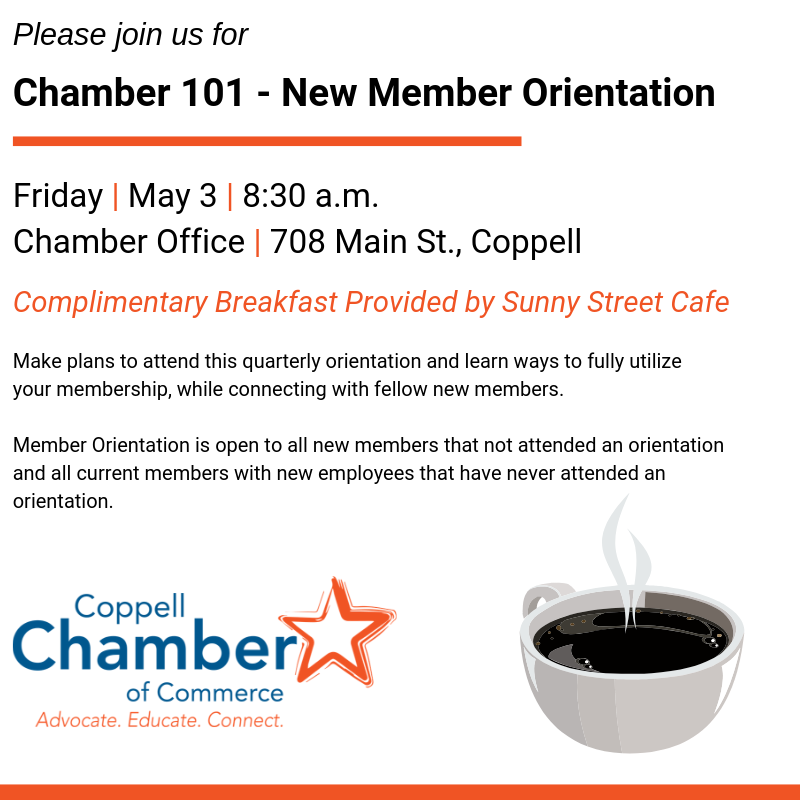 The New Member Orientation is a great way to start you Chamber connection.